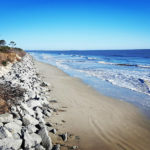 The Jekyll Island Marathon (JIM) is the only 26.2 run being held on any of the Georgia barrier islands. 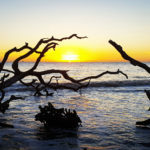 Thank you for visiting the Jekyll Island Marathon (JIM) webpage! Please check back here and on our JIM Facebook page for more information about our 2019 event! We had an AWESOME inaugural race! The 2018 edition far exceeded our expectations. Huge thank you to all the Sponsors, Volunteers, Racers and of course Jekyll Island! Considered the “Jewel” of Georgia, Jekyll Island is the ideal location to host the JIM. The JIM course will showcase the natural beauty of the island and take runners past historic landmarks. 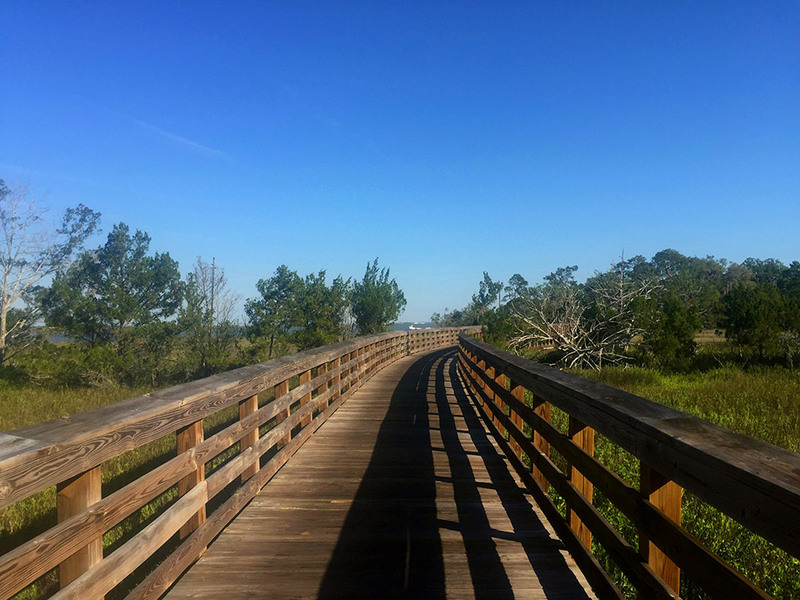 Runners will pass under the canopies of the majestic live oaks, past the beauty of the salt marshes, and wide open beaches. The course will also transport runners to an earlier time when they pass through the Jekyll Island Club National Historic Landmark. This landmark is one of the largest ongoing restoration projects in the southeastern United States and attracts visitors from around the world. Whether you’re a seasoned marathoner or this will be your first you won’t want to miss the opportunity to run the JIM! See our Updated Race Info below. 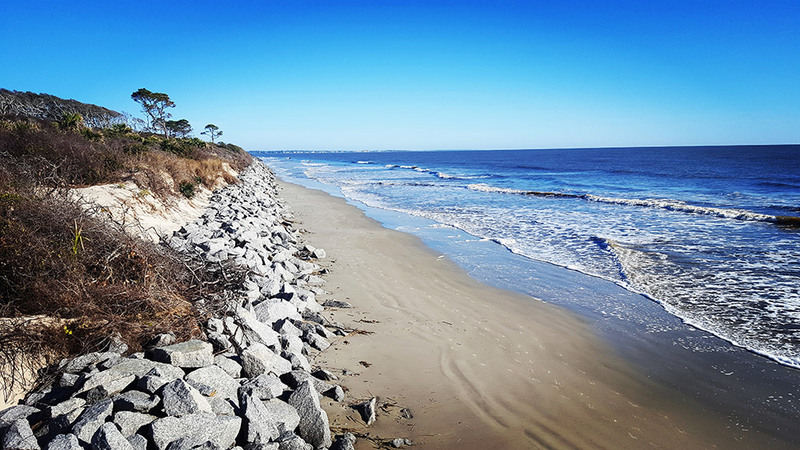 Safety is of the utmost importance to the organizers of the Jekyll Island Marathon & 10K. As with all of our events, we will be tracking the weather in the weeks and days leading up to the race. Please keep in mind that this event has a no refund policy and this includes if the race is cancelled due to an “act of God.” All race related items have already been paid for by the race production team. 4:30 am – 6:30 am – Complementary “grab and go” breakfast for Westin guest-runners at the Westin JI. The Westin JI will provide each room with two vouchers for a Sunday morning breakfast to include whole fruit, breakfast breads, juice and coffee. 5:00 pm – 8:00 pm – Post-race after party! Come hangout and relax with us at the Westin JI. Runners will start at the Jekyll Island Convention Center and run north on Beachview Drive for four miles. 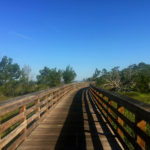 At about the five mile mark the runners will move onto the bike path and head back Southbound and enjoy scenic views of the marsh, oak trees and Driftwood Beach. Passing the 10k mark runners will stay on the bike path that parallels Beachview Dr and head South. Runners will make a left on Borden and follow the beach bike path past the Westin Hotel. You get yet another scenic view of the ocean here. The path will bring the runners to Riverview Drive at which point runners will turn left on Riverview Dr and run Riverview by staying in a three foot area from the shoulder. Runners will stay in this three foot area until they turn left onto Harbor Rd and run under the Jekyll Island Causeway Bridge and pick up the bike path that will take them North through the Historic Village. 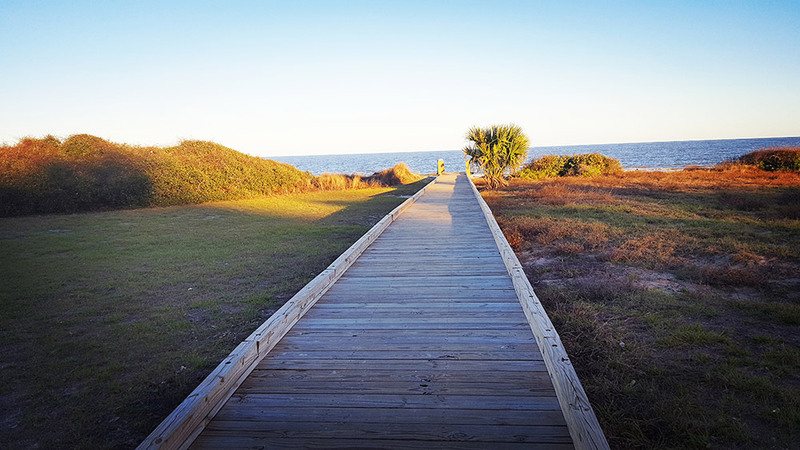 Here you get to also experience some of the boardwalks that Jekyll Island has to offer. Just past the Historic Village, runners will turn right onto Captain Wylly road and turn around just past mile 18 and at the Jekyll Island Golf Course. Runners will then reconnect with the bike path and will stay on the path until they reach the finish at Great Dunes park. Runners follow the same path as above but turn at the three mile mark, returning on the Beachwalk path. You get a fantastic view of the ocean during the second half of your run! Your finish is the same as the marathon course. Big thank you to our hotel sponsors for the race. The Westin Jekyll Island will again be our Host Hotel and Expo / Packet Pick-up location and are the closest hotel to the Start / Finish line. Please contact Monica at 912-319-2833 in the reservations department at the hotel. Other hotel sponsors and discounts include: Villas by the Sea, Jekyll Island Club. Villas by the Sea Resort are again pleased to be a hotel partner of the Jekyll Island Marathon and 10k. For discounted rates please call us at 800-841-6262 ext. 1 and mention Jekyll Island Marathon. Rates from $89 per night. Enjoy all the comforts of home at our oceanfront beach resort. A wide range of room types are available for your to choose from. Please call or visit us online for more information. 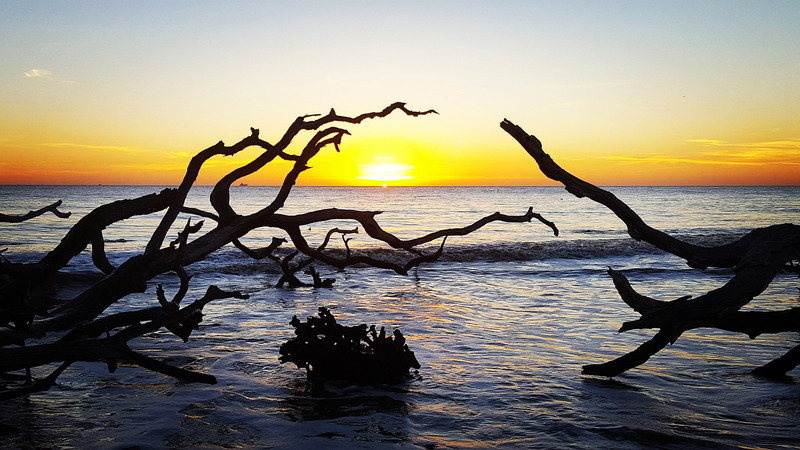 There is a $6 fee to enter Jekyll Island. This is paid at the toll plaza before you actually reach the island. Because we are expecting more than usual traffic on race morning, please allow for extra time and have your money ready. The machines also take credit cards, which is faster for you. All participants must pick up their own race packet and bib with their photo ID. No exceptions! Please have your ID ready at packet pickup. No ID, no race. If you have friends or family members on the fence, online registration closes this Sunday, January 14th, 2019. This is also the last day to register for the marathon. After Tuesday at 12 midnight, anyone wishing to run the 10k must register in-person with their photo ID on race weekend at one of the packet pickups. Note prices will be higher on-site too. We will have Friday and Saturday packet pickups at the The Westin Jekyll Island and Sunday morning at the race venue. However, we *HIGHLY* recommend picking up your packet before Sunday. You can find the updated schedule of events, course map and description, parking maps and hotel partners and discounts below. The Sunday night after-party is at the Westin starting at 5pm! They will have food and beverages available. Your on-course nutrition will be Tailwind Nutrition as the official sports beverage and water at each aid station. 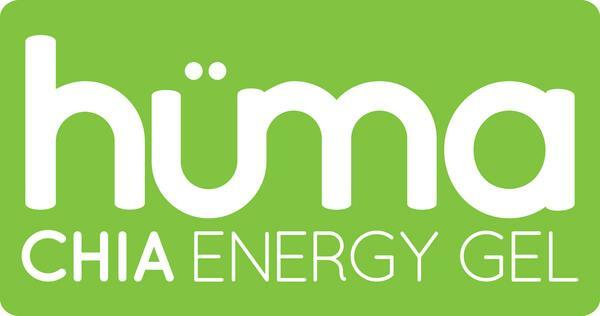 For marathoners, we will also have Hüma Chia Energy Gel gels starting at mile five. 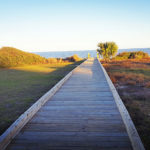 When is the Jekyll Island Marathon and 10k? January 20th, 2019. View additional information and a full weekend schedule. Registration for the JIM will close when either the cap has been reached or on January 14, 2019. There will be no race day registration for the marathon. For the 10k, you can also register using button above or in person on January 14, 2019 at the JIM Expo and packet pick up. Race day registration is available up until 7:15 AM for the 10K only. Please note that prices will be higher race weekend so we recommend you register early! You must register by Monday, December 31 to guarantee your race t-shirt! We do not mail swag, medals, awards or race shirts. Are these races qualifiers for other races? Yes, both are USATF certified course and can be used as qualifiers for other races. Is there a time limit for the races? We have a 7 hour time limit for both races. Will you cancel the race due to weather? Safety is of the utmost importance to the organizers of the JI Marathon and 10k. As with all of our events we will be tracking the weather in the weeks and days leading up to the race. Please keep in mind that this event has a no refund policy and this includes if the race is cancelled due to an “act of God”. What is the minimum age to race? The organizers of JIM feel that there is no age limit when you want to run! However, we do follow the rules and our minimum age to run the 10k is seven years of age and 12 for the marathon. All runners under 18 need their parent/guardian’s signature on the registration form. No exceptions. All registrations are non-refundable and non-transferable. Participants are also not allowed to defer their entries to another year or event. Once we receive and accept your entry, you will not receive a refund. However, if you can’t run but can volunteer we would love to have you! Any individual that volunteers during the JIM weekend will be eligible to receive half off to any Peak Racing or Quintanar running event. Do you have a marathon relay? Yes! Grab some friends and register today. Registration Confirmation – How do I know if I am registered? You should receive a confirmation email shortly after you register. You can also confirm your registration by signing into your RunSignUp.com account and viewing your current registrations. If you have any issues or difficulties with registration please contact either Tony or Rogelio and they will assist you. Can someone else pick up my race material? All participants must pick up their own race materials. Due to the nature of these races, photo I.D. is required. Race materials will not be mailed. What sports drink and gels will be on course? We’re in the final stages of confirming brands of sports drinks and gels. Once we have it finalized, we will update this section. Is there a cap on your race? Yes, we will allow 350 in the 10k and 350 in the Marathon. Can I switch my registration from one race to another? Yes, but only if the race you want to switch to is not already sold out. You’ll be charged the difference in entry fees in effect at the time of upgrading. If downgrading, a refund will not be provided. To switch races, head over to RunSignUp.com and log in with your user name and password. Please note: A participant who completes a race other than the one for which they are registered will not be eligible for any awards (i.e., not be listed as a finisher with an official time). Furthermore, bandits are strictly forbidden from participating. Any runner on the course that does not have an official race bib will be pulled from the course and banned from any future Peak Racing and Q events. Are strollers/baby joggers allowed on the course? Strollers and baby joggers are allowed in the 10k and will have to start at the back. Strollers and baby joggers are NOT allowed in the JIM. While the JIM and 10k discourages the use of headphones, we do not impose a ban on wearing these devices during either event. We love volunteers and consider them the lifeline to all our events. Bring your friends and family! Make it a party! Sign up to volunteer. How can I sponsor or partner with you and your events? Contact us under the race contact info section of the RunSignUp race page. We promise to put your money, services or product to good use and to help you promote your company. Please contact Tony or Rogelio for sponsorship opportunities.